Featured in Bloomberg Businessweek, Sept. 17, 2018. Subscribe now. It’s not just Washington. Even in Silicon Valley, people have started wondering: Where’s Larry? Page has long been reclusive, a computer scientist who pondered technical problems away from the public eye, preferring to chase moonshots over magazine covers. Unlike founder-CEO peers (Mark Zuckerberg comes to mind), he hasn’t presented at product launches or on earnings calls since 2013, and he hasn’t done press since 2015. He leaves day-to-day decisions to Pichai and a handful of advisers. 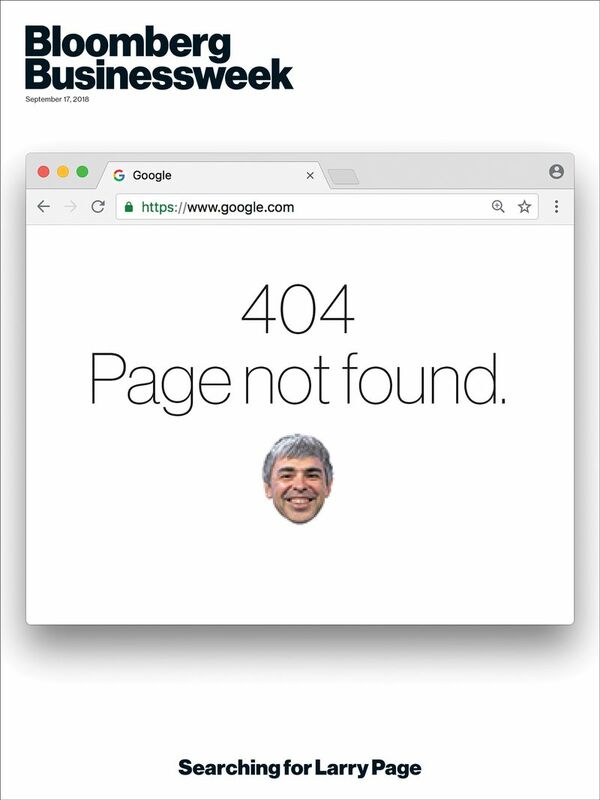 But a slew of interviews in recent months with colleagues and confidants, most of whom spoke on condition of anonymity because they were worried about retribution from Alphabet, describe Page as an executive who’s more withdrawn than ever, bordering on emeritus, invisible to wide swaths of the company. Supporters contend he’s still engaged, but his immersion in the technology solutions of tomorrow has distracted him from the problems Google faces today. 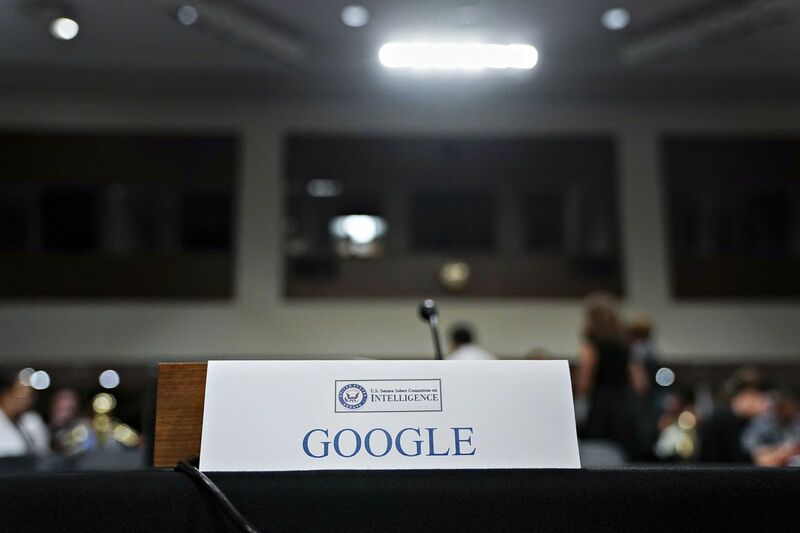 “What I didn’t see in the last year was a strong central voice about how [Google’s] going to operate on these issues that are societal and less technical,” says a longtime executive who recently left the company. 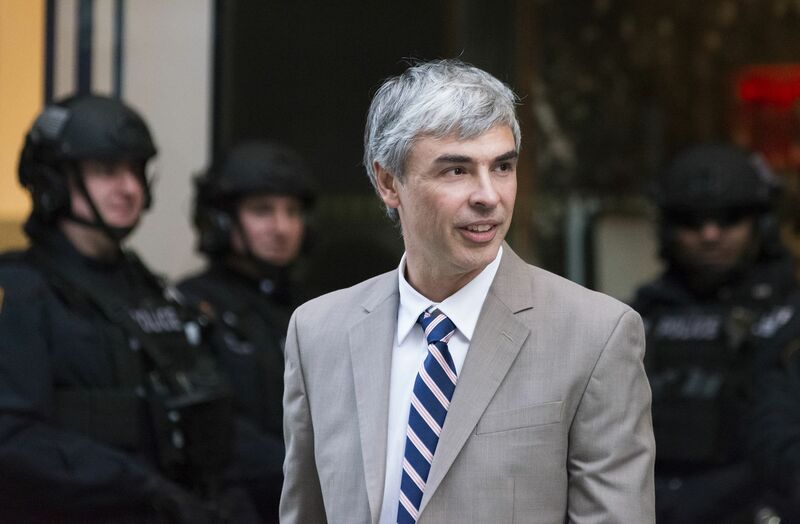 Alphabet said in a statement that it had offered its head of global affairs for the hearing and that “enabling Larry to focus on the other bets and long-term technical problems is exactly what Alphabet was set up for.” The company referred questions to Dan Doctoroff, head of its urban infrastructure unit, Sidewalk Labs, and former CEO of Bloomberg LP, Bloomberg Businessweek’s parent. Doctoroff declined to comment on whether Page has a responsibility to speak publicly about Google’s more pressing challenges and says they haven’t spoken about the issues stemming from the Senate hearings. In the past, Page’s quiet approach earned him plaudits and a beneficent image as Alphabet’s chief visionary, but his distance of late raises doubts over who exactly will steer Google through this existential crisis. Twitter Inc.’s Dorsey and Facebook’s Zuckerberg, who’d previously testified before Congress, have apologized repeatedly for the unintended consequences of their networks and sworn that fixing them is their top priority. Page, meanwhile, hasn’t offered a statement of contrition nor publicly indicated his plans to address the threats facing his company. The question now is whether he has a responsibility—to shareholders, staff, society—to get back on stage. When Page, Google’s first CEO, reclaimed the top job from Eric Schmidt in 2011, he approached it as if it were an engineering puzzle. He worked 80-hour weeks, devoured business leadership books, and studied his managerial idols, such as Bill Campbell and Warren Buffett. Yet he grew tired of the tedium of overseeing operations, his mind geared more for R&D than P&L. According to the recently departed executive, Page’s eyes would “glaze over” in meetings when discussions turned away from core technologies to the humdrum of business. “What you do is boring,” this person recalls Page saying when a conversation strayed too far from a topic that interested him. He was also averse to the internal politics common to running a 60,000-employee conglomerate. A former senior director at Google remembers a heated debate among the “L Team,” as Googlers used to call Page’s circle of executive consiglieri, that escalated to a point where it required his mediation. “Can’t you sort this out on your own?” he told his deputies. While Page’s tenure was marked by prescient investments in AI and massive facilities to store Google’s growing data hoard, the pace of the job also weighed on his health, say two former Google VPs. In the 1990s he was diagnosed with vocal cord paralysis, a nerve condition that eventually has made it difficult for him to speak above a hoarse whisper. “Sergey says I’m probably a better CEO because I choose my words more carefully,” Page wrote in a Google+ post in 2013, the same year he stopped joining earnings calls. A person who formerly reported to him even recalls being scolded for once making a mistake that led the CEO to yell, as if Page had only so many words left to speak. The company’s abrupt reorganization in 2015 elevated Pichai to CEO of Google and Page to chief of its umbrella company, Alphabet. It was perhaps the cleverest retirement plan ever devised: He was able to retain control of his creation while passing off most of the responsibilities, leaving him more freedom to focus on what he has called “crazy” and “speculative” bets on the future. Page has personally funded three companies aiming to pioneer autonomous flying vehicles and obsessed over Alphabet’s various robotics groups. For several months he maintained a weekly meeting with leaders at Google Fiber, a project to develop ultrahigh-speed internet access, to brainstorm technical solutions for implementing the service, such as newfangled ways to drill fiber-optic cables into sidewalks, says a former manager there. Page at the Trump tech summit in 2016, a rare public appearance. It’s a weird moment for founder-CEOs, and compared with Elon Musk smoking a blunt on a live video podcast, Page’s invisibility might seem preferable. According to one Larry loyalist, Page’s privacy, besides being a personal preference, is also a carefully considered company strategy. When Google ballooned in the late 2000s, pushing into every new business it could think of as its share of the U.S. search market rocketed toward 70 percent, some inside the company deemed it shrewd to temper Page’s outward persona. They were conscious of the way Bill Gates had become a media caricature during Microsoft Corp.’s three-year antitrust lawsuit and didn’t want Page to become a similar corporate mascot-slash-punching bag. At this point, though, such a public-relations strategy feels dated. On balance, the celebrity of even the most caricatured CEO (Zuckerberg) appears to be a net positive for his company. Page’s counterparts may not own the narrative around their companies right now, but speaking up is helping them shape it. To have a debate, though, you need to show up.